Classes are structured in a way that allows our students’ creative minds to expand. Subjects are brought into real-world situations, teaching the students to solve real-world problems. 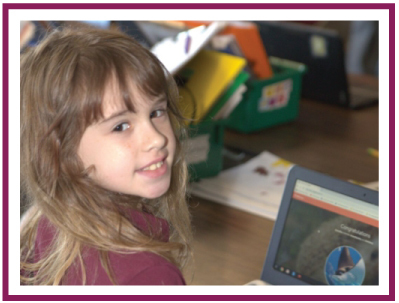 Our teachers engage each student at their individual level through hands-on and interactive lessons. Students’ participation in physical education, the arts, and community outreach provides a well-rounded educational experience. Our 3rd and 4th graders participate in “Think Tank Thursday,” a day to review and finish the goals they set for themselves the week before. Students are empowered to be invested as lifelong learners. We are able to provide higher standards in every subject due to the one on one attention. Our average student to teacher ratio is 8:1. Classes Begin at 8:00 am and dismiss at 3:30 pm.